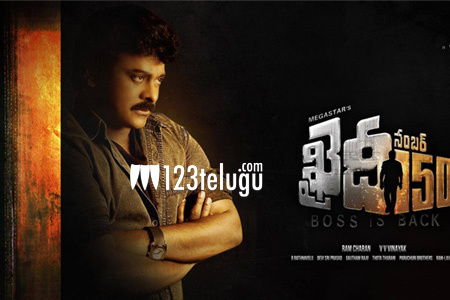 Date and venue changed for Khaidi No150’s pre-release event? It is already reported that Chiranjeevi’s prestigious project Khaidi No150’s pre-release event will be held on January 4th in Vijayawada. This movie recently completed its censor formalities and is gearing up for a huge release on Sankranthi. Now, the latest news is that the date and venue of this pre-release event have changed and the makers are planning to hold this event on January 7th in Guntur. However, an official announcement is awaited regarding this news. Directed by VV Vinayak this movie is produced by Ram Charan and Kajal Aggarwal will be seen as the female lead.